1. It looks like there’s going to be a hot autumn in Moscow? Or is that just an illusion due to very vocal electioneering and of course the media accompaniment? Meteorologically, as well as politically, Moscow feels the heat in July or August. October surprises more often happen in Washington, DC; and the autumn so far should cause French President Nicolas Sarkozy to sweat – at least since all US charges against Dominique Strauss-Kahn were dropped, and he returned to Paris. There has been the sense under the surface of Russian politics that an accident might happen – might even be provoked with an orange or rose colouring – and have destabilizing consequences for the run-up to the December 3 national parliamentary election. But so far there is no sign of an incident, protest, or issue around which Russian opposition might mobilize. The only one sweating at the moment in Moscow is outgoing President Dmitry Medvedev. 2. Will the mystery behind the Putin – Medvedev tandem unravel at the United Russia Party Congress or must we wait until December, after the parliamentary elections? What of importance will Medvedev put in his speech (if anything)? The tandem isn’t a mystery — Vladimir Putin owns the bicycle, picks the road, applies most of the leg muscle. The fact that Medvedev also pedals can’t change that. Also, there’s nothing mysterious about wishful thinking – Medvedev’s. His attempts to campaign for reelection by stressing his positive differences with Prime Minister Putin – Mr Modern versus Mr Authority, Mr West v Mr East, Mr Young v Mr Old – have been fatuous; they have obscured the identicality of their underlying positions. Medvedev lacks the power to decide between powerful factions on any significant, big-money policy issue, and so far in his term, he has not done so. He therefore appears to be powerful when enunciating policy to which there are no objections; or when the issues are marginal and there is little resistance. The effect is magnified by western media, which want to see him retain the presidency in 2012, even replace Putin, if he could. This too is wishful thinking. If you believe what you read in the Financial Times, the Economist, or Wall Street Journal, you might believe that privatization is a Medvedev policy priority, while state consolidation or renationalization is the Putin strategy. This is a mistake. It’s also a familiar prejudice from the voice-boxes of has-been imperialists still hoping for a foothold in Russia. Medvedev has been hoping he could push through a privatization or two of state assets in order to reward potential supporters from among Russia’s oligarchs. At this, Medvedev and the ministers supporting him – chief of staff Sergei Naryshkin, deputy prime minister Igor Shuvalov – have been a near-total failure. Naryshkin, for example, has been the closest state minister to Medvedev, but he ignored his April 2, 2011, decree removing state ministers from the boards of directors of state companies. The only privatization Naryshkin has stood for is the retention of his own seat as chairman of the board of the state-owned oil tanker company, Sovcomflot. 3. In the opposition parties can you see big changes in terms of representation and strategy? Should we talk rather of attempts to keep voters’ loyalty, and nothing more? Do you see lack of vision or a cold peace, acceptance of the dictates of political fate? There are opposition forces, trends, individuals, sentiments, ideologies; but there are no opposition organizations complex enough to be called parties. Gennady Zyuganov sold the Communist Party to the oligarchs when Mikhail Khodorkovsky was paying his bills, and not even Khodorkovsky’s subsequent conviction and imprisonment have loosened Zyuganov’s tongue. His brain has atrophied in the meantime, and his grip on the communist party machine remains unbreakable, at least for one more parliamentary and presidential round. Vladimir Zhirinovsky’s Liberal Democratic Party of Russia is neither liberal, nor democratic, nor a party. The nearest thing to an opposition party in the broader European sense would be an alliance of environmental protection groups active across the country – if (it’s a big if) they could coordinate in the formation of a Green party. So far, they cannot – they haven’t. 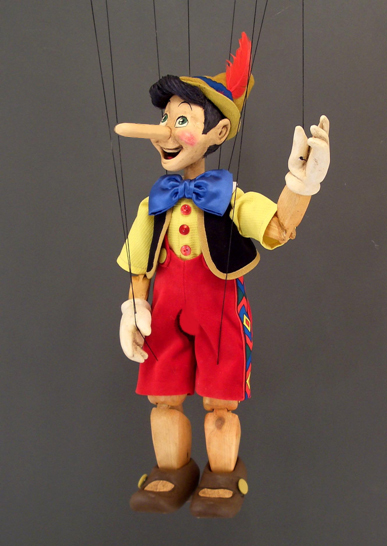 In some theatres, it’s possible for the most wooden of puppets to convince audiences that they are their own masters and puppeteers, but turn on the lights – you can see the strings immediately. Still, the normal political equation – the inflation rate plus the unemployment rate = opposition – operates not less vigorously in Russia than elsewhere. Nut the latest economic results from the state statistics agency Rosstat suggest that this pain equation is moving against the electoral opposition, and in Putin’s favour. In August, real wages were growing at a year on year rate of 3.8%, the fastest monthly growth rate this year. Disposable income in August was up 1.4% year on year. Unemployment appears to be falling — it was 6.5% in July; in August it was 6.1%. These effects suggest that classic pork and trough politic, pump-priming and budget stimulus spending are reaching the voters — and with August retail sales up 7.8% year on year (compared to 5.7% growth in July), they are expressing their confidence by spending money. They will spend their votes the same way. In this situation, Putin is the one person and political force most Russians believe can deal effectively with the economic threats they consider priority concerns as security risks diminish. This is an empirical observation, not an ideological one. Accordingly, opposition forms within the parameters largely set by Putin. That’s also a personal achievement on his part. What he intends to achieve next is something he keeps to himself. So far. 4. Is the security strategy promoted by Medvedev a failure? After the recent signing in Washington of an agreement on placing missile systems in Romania, it seems that the missile shield in the form proposed by the US will exist with or without the consent of Moscow. Does this change the perception of the foreign policy achievements of President Medvedev? Does it predict a new type of Cold War confrontation? Or does everything depend on who will come to the Kremlin in 2012? Medvedev made a mistake in backing the Anglo-American invasion of Libya and NATO’s regime change strategy. If he believed that move would secure a more consultative, less confrontational relationship with President Barack Obama on military strategy in Europe, around Russia’s frontiers, he started with a naive illusion and ended with a fundamental misjudgement. All the talk of button-pressing between Russia and the US has not diverted by a single iota the US Government from pursuing its military strategy in the Balkans. Of course, you might ask whether Obama has made even bigger mistakes than Medvedev, and proved to be as powerless at home, even weaker than Medvedev, since there appears to be no Obama consensus to which the US President himself holds to for long. At least Medvedev is still on his election bike – Obama fell off some time ago. The Romanian missile case reflects the continuity of US policy, and thus the failure of both the Great Powers, Russia and the US, to change or improve on what has gone before. What the missile agreement means in terms of US intervention in Romanian internal politics has been revealed in some of the State Department cables released by Wikileaks, but I don’t presume to guess how effective the US program for regime change in Romania has been, or will be. The Libyan War might have been a test of the so-called reset relationship, but it has not. I doubt Medvedev would have gone so public on the interventionist side, had he not been reflecting a silent consensus among Russian officials, including Putin, that Muammar Qaddafi could no longer be supported. I don’t believe the public version, emphasizing Qaddafi’s attacks on civilian protesters, was the decisive reason for Russian policy in that case. There is a much more durable tradition in Russian policy to condemn human rights violations, but at the same time oppose US or NATO-led intervention in the internal affairs of states. The inconsistency on this and other Russian policy positions towards Libya was made public by Russia’s Ambassador to Tripoli, Vladimir Chamov, whom Medvedev claimed credit for dismissing in April. In fact, Chamov was reassigned within the Foreign Ministry without being sanctioned. The Chamov episode was also unique in another respect – never had a serving Russian ambassador publicly criticized the commander-in-chief. Whether one agrees with Chamov’s position, or Medvedev’s, the episode demonstrated how weak the latter was. Perhaps Medvedev calculated that he should sacrifice Qaddafi in order to ingratiate himself as the “new look Russian”, “pro-western” presidential candidate. Perhaps Putin thought Qaddafi unreliable, erratic, potentially dangerous (the risks so far undisclosed), and judged that if Medvedev wanted to expose himself on the side of the western interventionists, Putin didn’t see any disadvantage to his own interests. Medvedev has made a fool of himself without a serious risk to the Russian state interest — that may have suited Putin. The Libyan War is also the first time that Russia’s non-government policy establishment sided against the President in an open and explicit way. Is that the kind of liberalism Medvedev stands for? Obviously not; and all threats Medvedev and his circle issued in reaction – for example, a threat to sack Foreign Minister Sergei Lavrov leaked to the press in mid-April — came to nothing. As the Islamist and fundamentalist elements in the so-called Libyan opposition and the national transition council gain in strength and take control of the country, the Russian position internationally will be – we told you so. 5. There is already a negative perception of Russia’s attitude to Al-Asad’s regime in Syria. Is Medvedev making a new mistake this time regarding Syria? What is your opinion? Regarding Syria, Medvedev has not moved an inch from the traditional Russian policy consensus. The Kremlin will not tolerate another episode of regime change in the Arab world. Medvedev has reverted to form, so no mistake there – not at least if you are Russian. .
6. What is your prediction about the 2012 tandem, president – premier? That’s easy – the outcome of the presidential race is quite clear. Putin will rule. Whoever he decides on as his running-mate, and whatever title the latter is assigned, will not alter the political outcome. If Dmitry Kozak, another St. Petersburg lawyer and a long-serving junior minister of state, were to replace Medvedev, that would be worse for the oligarchs, better for the country than other candidates for the second spot. These candidates are much speculated about in chat shows, but their selection or deselection is little more than a weak signal of what course Putin will pursue in his third and maybe fourth terms. The big question of Russian politics, the question for Putin, is what he intends to do with the oligarchs – those individuals who control the principal resources of the country, and dictate theft, corruption and deceit as a way of life and method of governance.